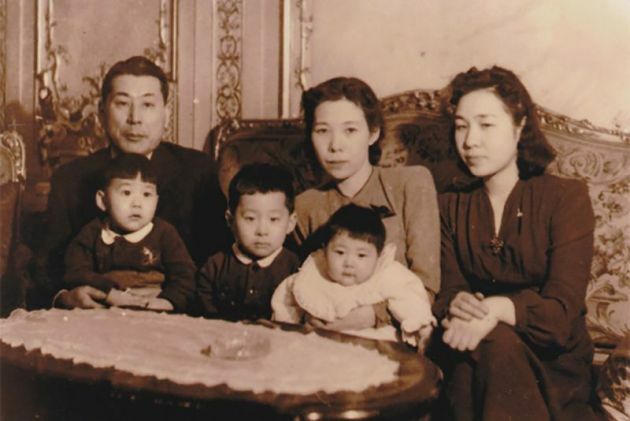 (Photo/NPO Chiune Sugihara Visas For Life)Sugihara's family at the Japanese consulate in East Prussia, Germany. The story of Japan's "Schindler" Chihune Sugihara offers lessons for tackling contemporary xenophobia, says the United Nations on its news site coinciding with International Day of Commemoration in Memory of the Victims of the Holocaust. During the Second World War, Chiune Sugihara, a Japanese diplomat posted as an acting consul in Lithuania, disobeyed instructions from his own government and issued visas for Jews fleeing Nazi persecution. Sugihara issued more than 2,000 transit visas to Jewish refugees in 1940, continuing to sign the travel documents even after the Japanese consulate was closed down and until his train pulled away from the station. Many of the visas were for entire families. As a result, it is estimated that Sugihara saved 6,000 Jews. "This painful day of remembrance for the victims of the Nazi Holocaust forces us to contemplate the horrors to which bigotry, racism and discrimination ultimately lead," said U.N. High Commissioner for Human Rights Zeid Ra'ad Al Hussein for the day of commemoration, Jan. 27. "The sadistic brutality of the atrocities inflicted by the Nazi regime on Jews, Roma, Slavs, disabled people, political dissidents, homosexuals and others was nourished by layer upon layer of propaganda, falsifications and incitement to hatred. "They were denigrated and smeared; one after another, their rights were refused, and finally, even their humanity was denied," said Zeid. The Vatican's permanent representative to the Organization for Security and Cooperation in Europe has marked "Holocaust Remembrance Day" with an appeal to never forget the lessons of the past. At an OSCE Permanent Council meeting, Monsignor Janusz Urbanczyk said: "the Holocaust teaches us that utmost vigilance is always needed to be able to take prompt action in defense of human dignity and peace." Quoting from Pope Francis who said that the cruelty that was perpetrated in the Nazi stermination camps is still around today, Urbanczyk noted, "the International Holocaust Remembrance Day should ...help us to 'go beyond evil and differences', and open every possible pathway of peace and hope in our world of today." 'It happened, therefore it can happen again,' wrote Primo Levi, who endured and survived the concentration camp at Auschwitz Birkenau. As we honor the victims of the Holocaust, we must also acknowledge the need to prevent the recurrence of anti-Semitism and all forms of racial and religious hatred and discrimination today." Zeid said it is essential to uphold independent rule of law institutions and a free press, which can hold leaders to account and establish a truthful record of the facts. In the case of Sugihara, he came to be known as Japan's Schindler after Oskar Schindler, a German industrialist who hired about 1,200 Jews to work at his factories during the Holocaust, thus saving their lives. Ahead of the International Day of Commemoration in Memory of the Victims of the Holocaust, dozens of descendants of the so-called "Sugihara" survivors attended the Jan. 25 screening of a film that depicts his humanitarian acts. It is one of the many Holocaust remembrance events being held at the United Nations Headquarters in New York this week. "My father was No. 299 on the list and my uncle was No. 27," Richard A. Salomon told U.N. News, stressing that without Sugihara's act of kindness and righteousness, "they would have died and perished at the hands of the Nazis." Cellin Gluck, Director of Persona Non Grata, told U.N. News, "The main message is simple. Any person can make a difference. One person can make a huge difference." Noting that Sugihara's action resulted in the saving of the lives of more than 6,000 people, Gluck said "now more than 75 years later, it's not just those 6,000 people who came out." Those 6,000 Jews have now an estimated 40,000 to 100,000 descendants. "You can see how one person's action can make a huge difference," he said. "History repeats itself and we should try to learn from our past. But we have a tendency to forget what we've learned," Gluck warned, noting that his film is "synchronistically, very contemporary" because the world is facing a similar problem again, perhaps not exactly the same way, but in the forms of discrimination against refugees and of groups ostracized. "We cannot allow it to repeat itself," he emphasized. 'In a real sense Mr. Sugihara was a hero among heroes,' said U.S. Ambassador Walter Mondale at a ceremony back in 1994. He said Sugihara had everything to lose by ignoring the Japanese government, Germany's ally during the war, United Press International reported.